Have you ever almost doored a cyclist (or almost been doored cycling)? 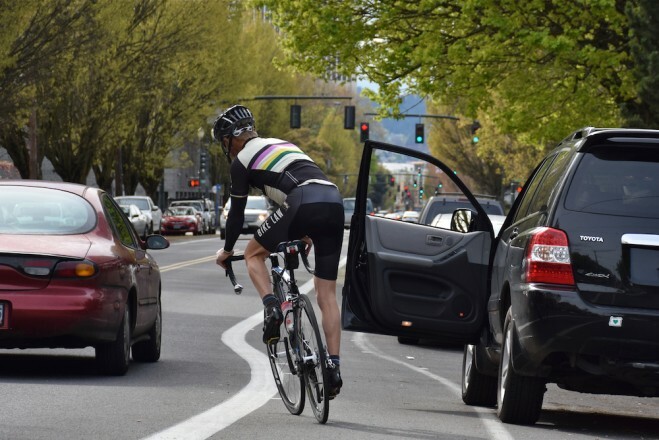 Dooring refers to when someone exiting a car opens their driver's door directly into the path of the oncoming cyclist that they didn't realize was there. I saw this very short video this past weekend about a simple maneuver designed to easily reduce these sorts of at times even deadly accidents. It's called "The Dutch Reach", and despite the suggestive title, it's totally safe for work. An incredibly simple behaviour that could save a person's life - it should be mandatory teaching in driver's ed.